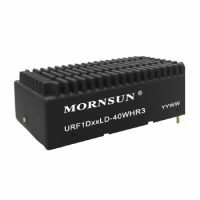 URF1D_LD-40WR3 series of isolated 40W DC-DC converter products have an ultra-wide 4:1 input voltage and feature efficiency of up to 91%. Input to output isolation is tested with 1500VAC / 3000VDC and the converters safely operate in an ambient temperature of -40℃ to +85°C. 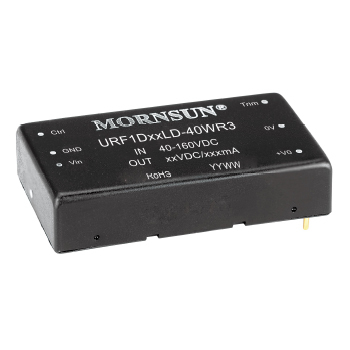 Input under-voltage protection, output short circuit, over-current, over-voltage, over- temperature protection. 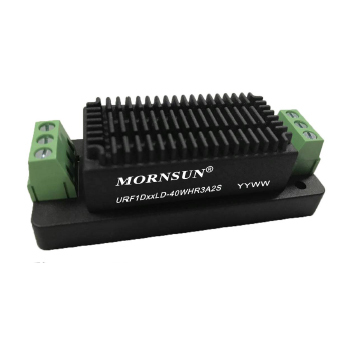 Offered with various mounting options, it is ideally suited to electronic equipment and railway vehicle applications using 72V, 96V and 110V battery voltages.